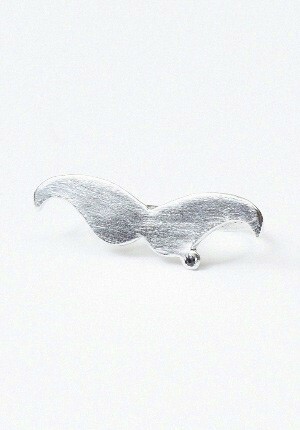 Hong Kong Fashion Geek: Tis the Season: Mocember? Movember has ended, but you can still stay in the spirit of things by purchasing his 'n hers Christmas gifts for friends who are couples. 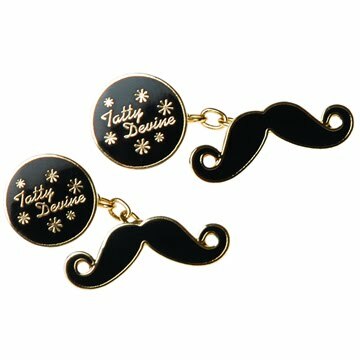 For him, there are Tatty Devine moustache cufflinks, set on chains instead of bars so you can enjoy full moustache-twirling capabilities. For her, there's Mister Kate's two-finger moustache ring, or Digby & Iona's moustache necklace, which we blogged about here.